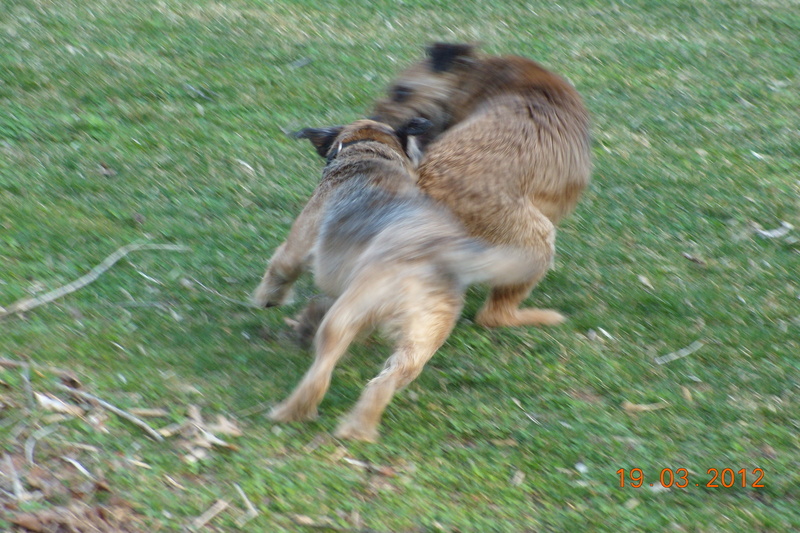 Terrier Play. Terrier Joy. Don’t stop me now. The Parkour Terrier video reminded me of this rocking, old classic YouTube video of two Border Terriers having such a good time playing to Queen’s “Don’t Stop Me Now“. You’ll feel happy just watching them. Nothing makes me belly laugh as much as watching my Bossy and Bark (both Borders)tear through the woods, run around and jump over the bushes, ducking, diving and rolling. Stopping long enough to lap some water. Two dogs, one bowl. Ear to ear. Two sets of tags raining on the side of the dish. Then off again they go for more laps around the yard before they finally flop down, sides-heaving, with the most satisfied grins on their sweet faces. Now that’s all-out Terrier Play. Watch it now: Don’t stop me now… – YouTube. And laugh with me. “Why does my Border Terrier bark and pull me when he sees other dogs on his walk?” Wouldn’t you, if you had so much fun with your friends? Too bad people don’t work so hard to get more joy into their lives. Another reminder from our precious canine friends to Live with passion. That’s Terrier Logic # 12. 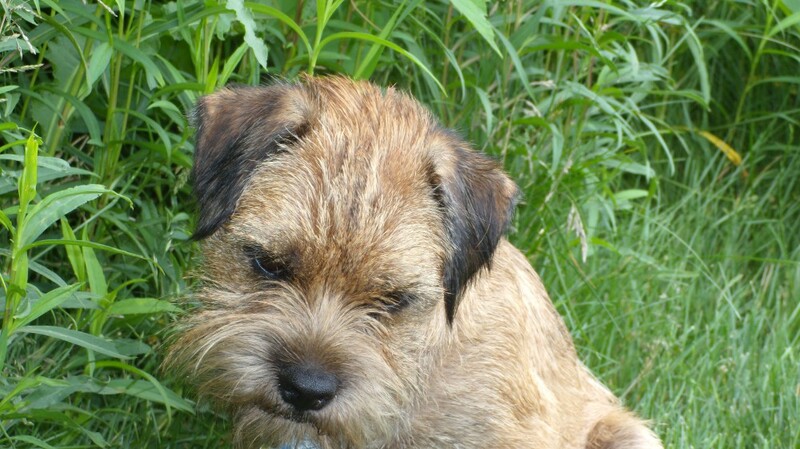 This entry was posted in Behaviour, Terrier Fun and tagged Border Terriers, Joy, Play by Toni. Bookmark the permalink.